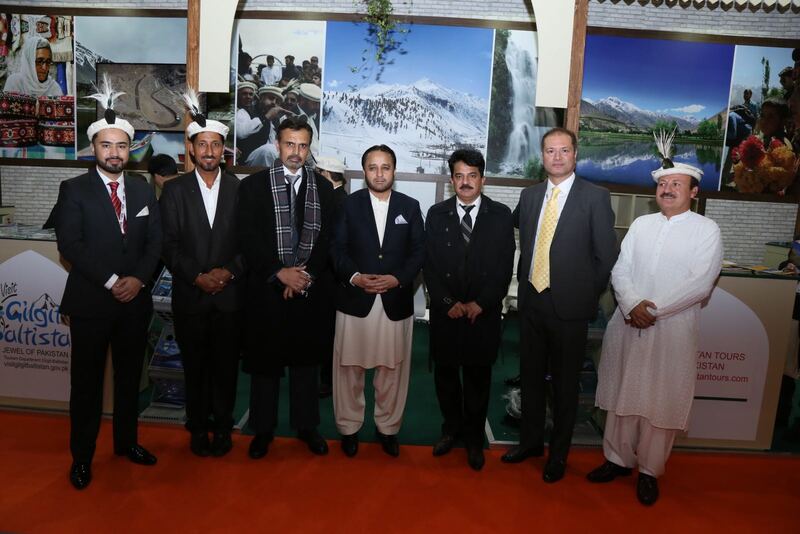 LONDON: Chief Minister Hafiz Gilgit Baltistan Hafeez-ur –Rehman inaugurates Gilgit-Baltistan stall at three day long World Travel Market expo in London. 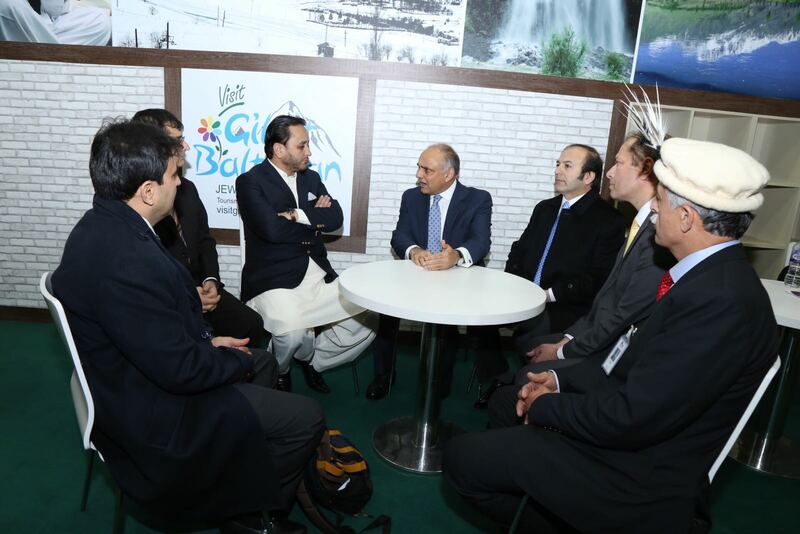 Pakistani High Commissioner in London Syed Ibne Abbas and Secretary Tourism Gilgit-Baltistan Waqar Ali Khan were also present on the occasion. 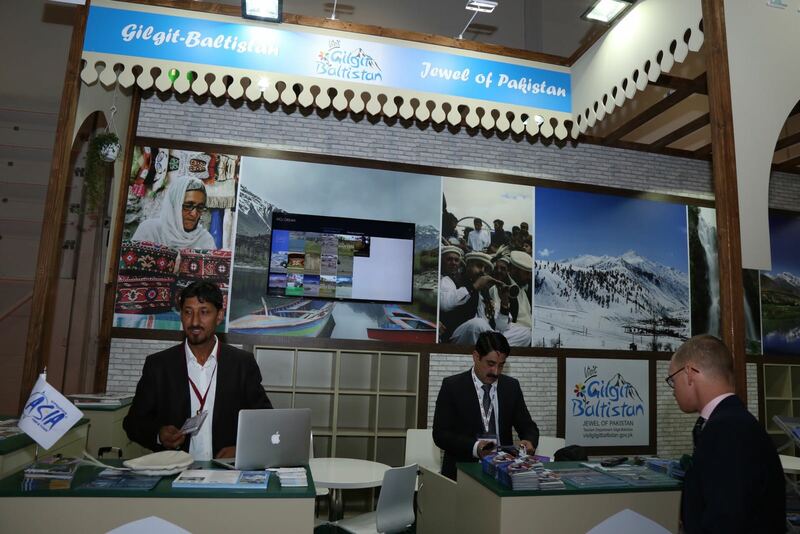 Eight tours operators from Giglit-Baltistan were also attending the expo. CM will also meet delegations of British Members of Parliament and British Community besides meeting with leaders of PML-N London Chapter. World Travel Market (WTM) is the leading global event for the travel industry to meet industry professionals and conduct business deals. Through its industry networks, unrivalled global reach, WTM London creates personal and business opportunities, providing customers with quality contacts, content and communities. what people in this picture know about tourism in GB, they went to make TADAs and none of them interested in tourism in Gb. CM can not speak English, what he has told Britishers about tourism in Gilgit?